An experience unlike any other, this tour of the Vatican Museums includes either a delicious American breakfast buffet or a full Italian lunch that you can enjoy inside the Vatican Museums. Following the meal, you will get to visit the Vatican Museums and the Sistine Chapel with skip the line access, allowing you to take in the artistic wonders of the museums in your own stride. Enjoy a breakfast banquet fit for the Pope inside the grounds of the Vatican Museums. You'll be part of the first groups to enter the Sistine Chapel with this exclusive early access pass! Experience the Vatican Museums and Sistine Chapel in solitude before heading over St. Peter's Basilica. This experience offers you the wonderful opportunity of enjoying a delicious breakfast early in the morning inside the Vatican Museums. Set in the beautiful surroundings of the Pinecone Courtyard, you will be able to feast on a lavish breakfast spread consisting of meats, cheese, pancakes and pastries. The breakfast will be a relaxed affair, allowing you to sit in the courtyard patio and soak in the peace and quiet of the morning as you're surrounded by the pine trees. After your breakfast you can soak in the art that the museums hold in complete solitude. You also have the option of choosing to have lunch inside the Vatican Museums in the afternoon. Head over to the restaurant area and enjoy a sumptuous, self service lunch with a selection of traditional Italian dishes and classic meat and fish dishes, rounded off by a selection of fresh seasonal fruit, yoghurt and desserts. A separate menu for children, more suited to their tastes, is available as well! Sit down, enjoy a quiet lunch before heading in to take advantage of one of the most priceless collections of art in the world. The Vatican Museums are home to a number of classical sculptures and paintings by Renaissance greats such as Raphael, Caravaggio, Michelangelo, Bernini and Leonardo da Vinci. Artists such as Vincent van Gogh, Salvador Dalí, and Pablo Picasso are also represented in the Modern Religious Art section. You can then visit the Sistine Chapel. Painted by Michelangelo in a span of 4 years, the frescoes of the Sistine Chapel are considered to be a cornerstone of western art. After the Sistine Chapel, the tour will head to St. Peter's Basilica through a direct passage that connects the two. Apart from being the center of Christianity, St. Peter's Basilica is also home to numerous works of Renaissance art. Some of the most popular works of art in the basilica are Michelangelo’s La Pietà sculpture, Bernini’s Baldachin, the statue of St. Peter, Pope John Paul II’s tomb as well as St Peter’s famous dome. After the meal, you can go through the Vatican Museum's 54 galleries and see its highlights. You can explore the Raphael Rooms, the Gallery of the Candelabra and the Gallery of the Tapestries and Maps. Next, head to the Sistine Chapel where you will come face to face with some of the most important works of art. The most impressive among them will be the marvelous ceiling that was painted by Michelangelo in a span of 4 years. Finally, make your way towards St. Peter's Basilica through a passage that connects it to the Sistine Chapel. Here, you will be introduced to incredible works of art and architecture such as the dome, Michelangelo’s sculpture ‘La Pietà’, Bernini's Baldachin and the world’s most impressive altar. You self guided tour will then end at St. Peter's Basilica. This VIP Breakfast Self Guided Tour of the Vatican Museums and Sistine Chapel is available on Mondays, Fridays and Saturdays at 8:15 AM, from October 29th until March 31st with breakfast taking place at the Coffee Bar of the Vatican Museums. From April 3rd until October 28th, the tour is available on all days except Sunday, every half an hour from 8 AM to 9:30 AM, with breakfast taking place at the Pinecone Courtyard. The VIP Lunch Self Guided Tour of the Vatican Museums and Sistine Chapel is available from Tuesday to Saturday until March 31st and from Monday through Saturday starting on April 3rd, every hour from 11 AM to 2 PM, with lunch taking place at the restaurant area of the Vatican Museums. The time you select during the next step of the booking is the time of your meal. Since the Vatican Museums open at 9 AM, you may visit at any time that is convenient for you throughout the day. The closest station to the Vatican is the Ottaviano-S. Pietro station. Line A of the Rome Metro stops at this station every few minutes. Your meeting point, as well as the Vatican Museums and St. Peter's Basilica, is a 5-minute walk from this metro station. More than the breakfast itself its the experience of eating in the Vatican grounds. And then you also get to enter the premises before the crowds, that's definitely unbeatable! Once in a lifetime experience. It was awe-inspiring to have a meal at the Vatican but I truly enjoyed the relaxed viewing without the crowds. You will receive an email with your Vatican Museums and Sistine Chapel mobile voucher. No need to print. 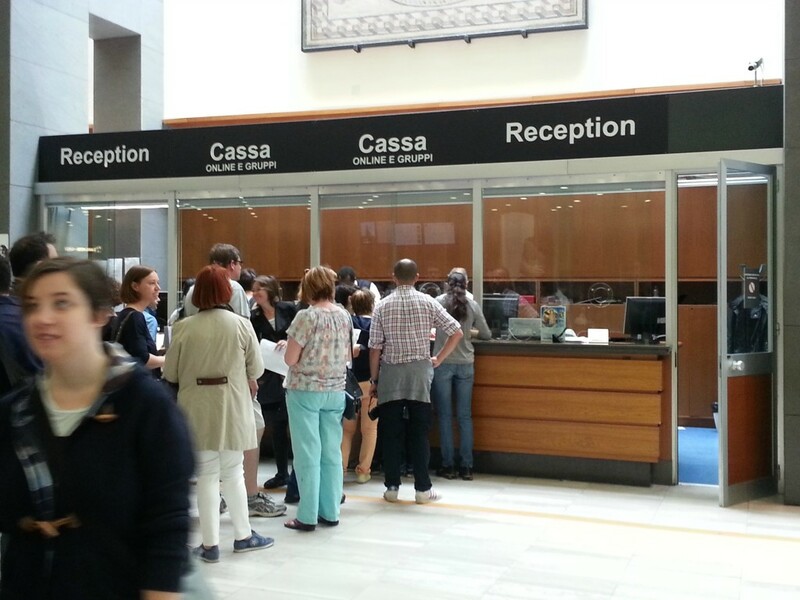 Please display the same to the security at the museums and head inside to exchange the voucher for the ticket at "CASSA ONLINE E GRUPPI", the Vatican Museums ticket office. Head over to the coffee bar of the Vatican or the Pine Cone Courtyard depending on the season for your buffet breakfast before beginning your self guided tour.